Eco apartments for rent in Plovdiv in guest house - private accommodation in the center, near the Old Town and International Fair Plovdiv. Milchevi family offers Art-guesthouse with unique architecture, cleanliness and calmness, cozy atmosphere and comfort. Right in the center of Plovdiv, advantageous booking. Perfect hygiene all over the building. Precision even in the small details. Accommodations (no commission) for rent in simple, stylish furnished lodgings, double rooms, business flats, serviced apartments by owner in a new building, guest house no hotel. Ecological from natural materials, always maintained and renovated apartments for rent: studio, one, two and more bedroom apartment. Short term rent properties, accommodation and long-term rentals. The luxury rental apartments are in a communicative, but quiet location, close to the center of Plovdiv and central pedestrian street. Room accommodation for nights in Plovdiv hotel. Family hotels Plovdiv Bulgaria.This is a quiet family guesthouse (family small hotel), but not a big hotel in Plovdiv Bulgaria. Short term rent properties, nights’ accommodation and long-term rentals. The luxury rental apartments are in a communicative, but quiet location, by the center of Plovdiv, old town and International Fair. Long-term rent (short-term as an exception) or hotel rooms for nights of the Fair. The real estate is rented short term and long term. They are located in the city center, in a quiet location, but which is conveniently located. Nearby is a park. Guests can pay the monthly costs locally and use hotel-specific services. Guesthouse with rental apartments long term rentals, short term rentals or accommodation. Rooms for trade fair participants at the International Fair in Plovdiv. Apartments for rent, business flats, serviced apartments by owner. Private accommodation in Plovdiv. Ecologic furnished rental apartments in Art-house which is built of ecological materials – Plovdiv. We comply with the statutory requirements of the EU for clean environment. Milchevi family offers Art-guesthouse with unique architecture, cleanliness and calmness, cozy atmosphere and comfort. Right in the center of Plovdiv, advantageous booking. Perfect hygiene all over the building. Precision even in the small details. Milchevi family offer you for rent in Plovdiv: apartments in a new separate building, built exclusively with natural/eco materials/. In the house reigns perfect cleanness, peace and safety, as it has a restricted access. Every guest is provided with a comfortable living environment. Housing maintenance is provided. Advantageous rents, also at a hotel principle. Accommodations in new serviced apartments: studios, one, two, three and more bedroom flats. On our website you can find a catalog of accommodation sites in Bulgaria, Plovdiv. Information about: properties’, real estates, agencies, travel agencies, tour operators, tourism and business trips, rests, vacations, VIP serviced apartments, private rooms. You can see the photo gallery of Eco tourism, to book flats, private lodgings or contact us. On the online map in ‘Location’ you can see where we are located and directions how to find us. Family hotels Plovdiv Bulgaria. Short term rent properties, nights’ accommodation and long-term rentals. The luxury rental apartments are in a communicative, but quiet location, by the center of Plovdiv, old town and International Fair. There is a park nearby. Guests can pay the monthly costs on the spot and make use of hotel services. Long-term rent (short-term as an exception) or hotel rooms, nights for demanding guests, including participants in the exhibitions of the Fair. Apartments for rent in Plovdiv center. Accommodation prices, short and long term rentals in Plovdiv. near the center, the Old Town and the International Fair of Plovdiv. Affordable accommodation in Plovdiv. You can view the picture gallery for eco – tourism, book an apartment or contact us. Eco family house with apartments of private, not in hotel rooms. The apartments are spacious, comfortable and fully furnished. Hotels Plovdiv, accommodation. Plovdiv private accommodation (no commission) for rent in simple, stylish furnished lodgings, double hotel rooms, business flats, serviced apartments by owner in a new building, guest house hotel. Ecological from natural materials, always maintained and renovated apartments for rent: studio, one, two and more bedroom flats and apartment with a garden. With us is better than hotel. Apartments for rent near the Old Town and International Plovdiv Fair. Apartments for rent in Plovdiv center in guest house ecologically built and furnished. We meet the legal requirements of the EU for a clean environment. Apartment house Milchevi offers apartments with unique architecture, cleanliness, comfort, comfort and security. Perfect hygiene everywhere. Precision down to the smallest detail. Apartments in a low-floor quiet style house for appraisers. Overnight stays by private. Beautiful rental apartments and rooms. Accommodation in eco apartments in Plovdiv center of privat. Rental apartments and services apartments. Holiday and travel in Plovdiv. Private apartments, for the International Fair in Plovdiv directly from the owner. Rooms in the central part of the city, for the pedestrian bridge over the river Maritsa to the Grand Hotel Plovdiv. Accommodation in Plovdiv for the fair. Rooms and studio , one, two, three and multi-rooms apartments. Family hotels Plovdiv. Private accommodation in Plovdiv directly from the owner. Prices for eco guest rooms, studio, two room apartment, shared flat rent and let. In the Art House near the Old Town and International Plovdiv Fair – perfect cleanliness, peace and security prevail, as the access is limited. There is a comfortable living environment for each guest. The ongoing maintenance of the apartments is always guaranteed. 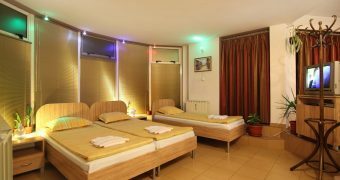 Low prices In the center of Plovdiv – private rooms. Plovdiv in the center – Beautiful rental apartments and rooms for rent by owner. Accommodation directly from the owner in simple, tastefully furnished rental apartments and private business apartments. Ecological made of natural materials, excellently maintained and uniquely renovated Art Hotel rooms and apartments: studio, two-, three- and multi-room apartments and an apartment with garden in Plovdiv near the Old Town and International Plovdiv Fair.